Dolby Atmos has been around for a while now, with the sound technology gaining traction in Hollywood. But the majority of cinemas have still yet to equip their screens with compatible sound processors and speakers. The good news is that you can now have the Atmos experience at home with the right equipment. Denon, KEF, Marantz, Onkyo, Pioneer and Yamaha all have Dolby Atmos-compatible products. LG's 2017 OLED TVs are the first ever televisions to support Dolby Atmos audio. Microsoft has also announced that it's latest firmware update will bring bitstream audio, including Dolby Atmos support, to its Xbox One and Xbox One S games consoles. But, what exactly is Dolby Atmos? And what do you need to get involved? Allow us to explain. Dolby Atmos is a surround sound technology, developed in 2012, that expands upon the current 5.1 and 7.1 surround-sound set-ups with Dolby Atmos speakers placed at points all around the room. And we mean all around. Speakers are placed along walls, in the ceiling and even behind the screen in order to push sound towards the audience. Up to 64 speakers can be used in a Dolby Atmos cinema, which is where the technology first appeared, and the idea is to totally envelop the audience in sound for a more immersive experience. In a domestic environment it's unlikely you'll have room for 64 speakers, so there will be a number of simpler options: the addition of two or four ceiling speakers in your system; alternatively installing add-on speakers on top of your existing main floorstanding or bookshelf front left/right speakers (one set for a 0.2 configuration) or your left/right front and rear/surround speakers (two sets for a 0.4 configuration); or the purchase of a purpose-built Atmos speaker system. When a Dolby Atmos system is installed, the room receives a complete calibration which allows sound mixers to ‘place’ sounds and voices at exact points in the room. Each speaker in an Atmos system has its own feed, enabling new front, surround and ceiling-mounted height channels. Given that a full, cinema-style installation isn't a practical solution for most people, with a large number of speakers installed around the room, a simpler solution is required. That’s where the AV manufacturers come in to play. The first thing you'll need is a compatible AV receiver to decode the Atmos soundtrack from a Blu-ray disc. The good news is you don't have to go and install in-ceiling speakers. Dolby’s hardware partners will also produce side speakers that aim to do a similar job of delivering an enveloping sound without needing speakers attached to your ceiling. Atmos can also work with existing home cinema systems. Dolby Atmos-enabled speaker modules are available, which, when placed on top of your speakers, will allow your system to deliver Dolby Atmos sound from a compatible AV receiver. Dolby Atmos tech is also available in a number of different soundbars - they tend to use up-firing drivers to disperse sound overhead. Plenty of films have now been produced in Dolby Atmos, the first of which was Disney Pixar’s Brave back in 2012. Other films including Pacific Rim, Noah and Gravity. Plenty of directors have said nice things about Atmos, too. Guillermo Del Toro said: "With Atmos, I found creatively a complete game changer. "I think that everybody talks about 3D imaging, and Atmos is 3D sound... I truly embrace Atmos, I think that every theatre should embrace it and it’s my preferred method for mixing sound, in the world right now." While Peter Jackson, also a fan of 3D film, said: "Dolby Atmos provides the completely immersive sound experience that filmmakers like myself have long dreamed about." The majority of DVD, Blu-ray, HD TV and other surround sound audio sources offer a 5.1-channel soundtrack. This means if you have a 7.1 (or more) speaker configuration, your AVR is sending the 5.1 signal to your extra speakers. With Dolby Atmos, there is one mix for all speaker configurations. This takes into account whether you have ceiling speakers or Atmos-enabled front speakers or add-on speaker modules – and will hopefully be matched by content with Atmos surround sound mixes. A 5.1.2 set-up will be a traditional 5.1 setup with either a pair of ceiling speakers or a pair of Atmos-enabled speakers, which are the '2' in 5.1.2. Meanwhile, a 7.1.4 set-up will be a 7.1 setup with either two pairs of ceiling speakers or a pair of Atmos-enabled front speakers and a pair of Atmos-enabled surrounds. Atmos AV amps will do their best to get more from traditional surround sound set-ups and 5.1 soundtracks. So, you’ve got your compatible kit to get Dolby Atmos in your home, now all you need is some content to play and revel in the full-room sound experience. Dolby says you shouldn't need a new Blu-ray player to support Dolby Atmos as long as you have a player that fully conforms to the current Blu-ray specification. And crucially, compatible Dolby Atmos movies are available in both Blu-ray disc and streaming formats. The first film to come with a Dolby Atmos soundtrack on Blu-ray was Transformers: Age of Extinction, in November 2014. Since then, a fair few Atmos-compatible films have been released - check out the full list on Dolby's website. So where else could we see Atmos? Virtual reality is one area of interest for Dolby - the company has already designed content-creation tools to deliver Atmos soundtracks to a virtual experience. Dolby has also experimented with Atmos installations in nightclubs, one of which you can find at London's Ministry Of Sound. DJ's now have the tools to make Atmos mixes and edit them on the fly so they can move certain elements of a track around the room. Another environment where Dolby Atmos could explore is in-car. Dolby hasn't divulged any specific plans to launch Atmos in the automotive world, but has confirmed it's an area of interest. Call us on 0800 123 485 to learn how you can experence Dolby Atmos in your home. These are halcyon days for TV technology. Ultra HD 4K is now pretty well established, HDR is beginning to make headway, and streaming puts a near-infinite supply of content at our fingerprints all day, every day. But these are also confusing times for TV technology, with new acronyms and marketing terms raining down like confetti at the wedding of the managing director of a confetti company. One of the key current confusions lies in the comparison between them and, as is so often the case, marketing is largely to blame - particularly from the QLED camp. So what exactly is the difference between OLED and QLED? Either way, make sure that you use a service like Broadband Compare to do your homework before you make a decision in order to help you to weigh up your options before signing up to get a good idea of what you need and then compare broadband deals to find the perfect balance between speed and affordability. And don't forget to speak to us regards getting the best connection from your broadband to your home network. Quality equipment and an expert setup makes all the difference. You'd be forgiven for thinking that the music streaming market consisted of just Spotify, such as their market dominance. However there are other services that offer higher quality audio, different genres of music or even more competitive subscriptions. Services like Deezer offer a great family package, where as Tidal offer high quality audio. The new range of Cavius smoke and heat detectors work together wirelessly so when one detector gets activated the rest do as well, alerting everyone in the home. With a 5 year battery life, it couldn't be easier to keep your family feeling safe. Next AV were winners again at the annual AVA Pacific dealer awards. 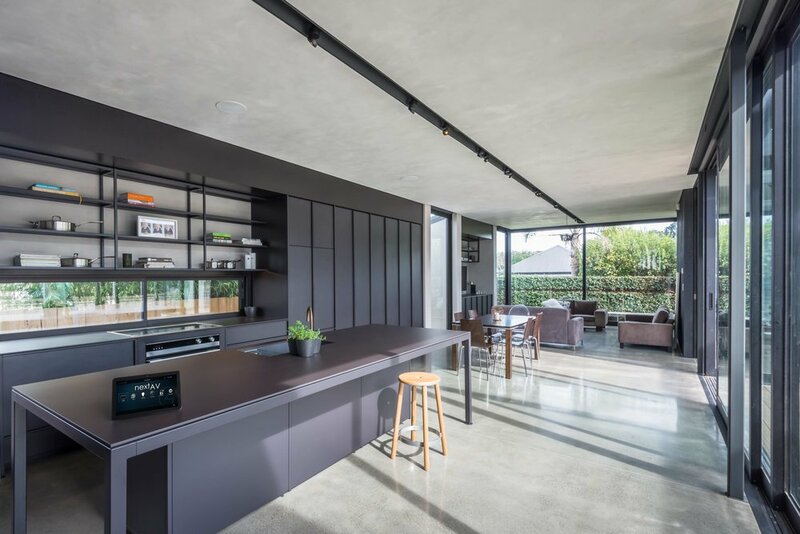 Dominating the $50 - $100k category Next AV won with this stylish Auckland home. Featuring controlled lighting, multi-room audio, video distribution and more this home demonstrates how seamlessly technology can blend into a modern home. Take back control of your kids Wi-Fi! Unifi have released an exciting new home wireless product called AmpliFi. Featuring the latest mesh technology to provide awesome wireless coverage coupled with advanced parental controls and remote management, Wi-Fi has never been this good, or stylish! We especially like the ability to control access for the family, even setting quite times when you don't want your little ones access the internet,but still allowing you full access. All this and more managed by a simple app on your phone. Call us on 0800 123 485 to take back control.